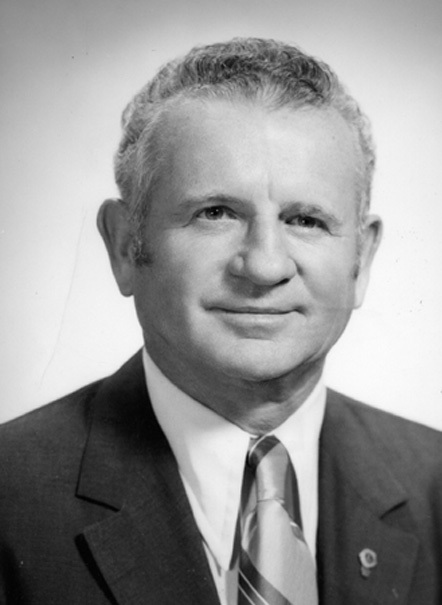 Wade L. Cavin (1916-1997) was Durham’s mayor from 1975 to 1979. A World War II veteran and a successful businessman, his story is a classic rags-to-riches tale. He arrived at the University of North Carolina at Chapel Hill in 1933, in the midst of the Great Depression, with $1.05 in his pocket. He received a $75 scholarship, lived in a five-dollar-a-month attic room, and worked for 25 cents an hour washing dishes. He raked leaves, sold drinks at football games, delivered the Durham Morning Herald, and did other odd jobs to pay his way. After graduation, he founded a profitable office supply business and became a benefactor of the university. He entered into local politics in 1969 as a city council member.